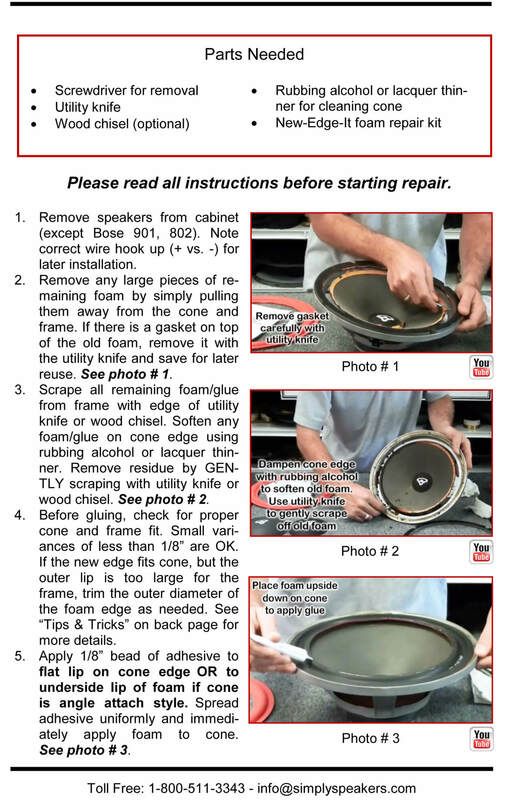 Woofer Foam Surround Repair: I followed the repair video for the foam surrounds on a Cerwin Vega woofer on your website. The video answered all questions, and I ended up with a superb-looking set of woofers on my old (mid-1980's AR) speakers. They sound great too! I have sent a photo of the before and after. Thank you for the prompt service. The foam speaker surround kit has restored my old AR6 speakers back to life. They were very easy to install using the supplied instructions. I am now back to enjoying high quality music! Thank you again. The fit was perfect. Speakers work like new. The installation video was very helpful. I have done a total of 6 speakers, all with excellent results! Great product. My speakers sounds awesome now. 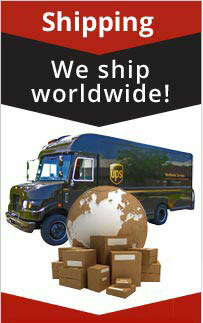 Thanks also for your great how to videos on youtube. That's how I found you guys. 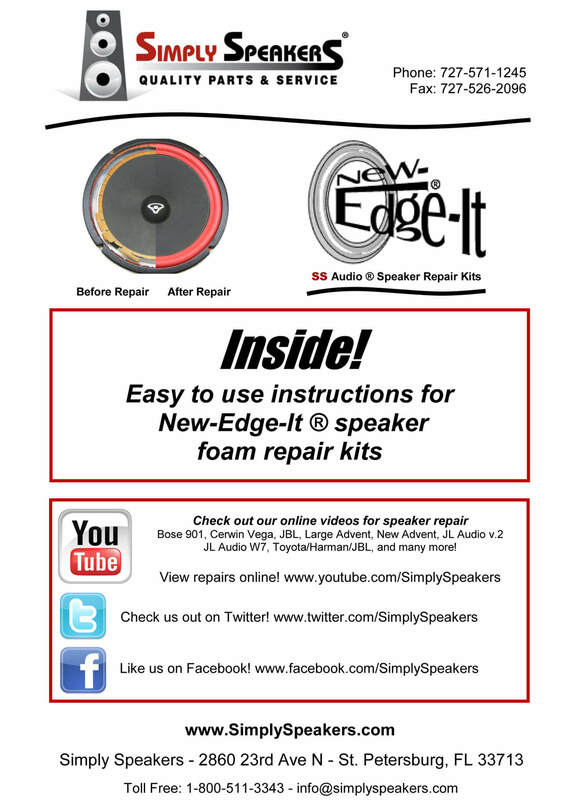 Simply Speakers, Thanks for the repair kit. The repair was a success. I’ve been using the speakers since the glue dried. I’m happy. These speakers are used with the Onkyo receiver I purchased at the same time. All is well.Good luck. And I may try your repair kit again with another speaker pair that I find for sale in the future. It wasn't a prefect fit for the AR-18, but close enough, because it does work. Just one millimeter off perfection, but still, close enough. The resurrounding job was easy, just a couple of hours of work, bit of tinkering and that's it. The video and instructions included were very clear. The speakers now work great again, the new surrounds are excellent and the glue included was very good. 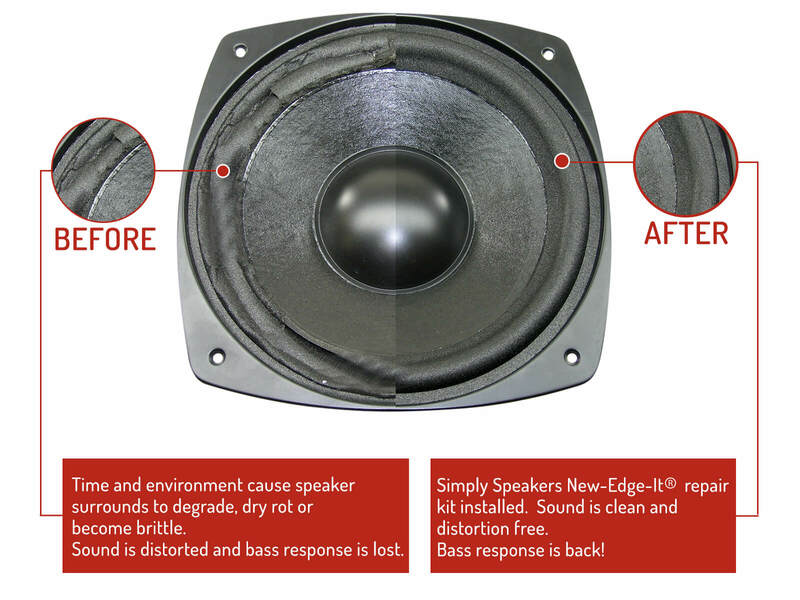 I can easily recommend this and will order from Simply Speakers again, if I need. I followed the instructions and now have some working AR6's. Very easy repair .restored one speaker but the other had to have a new driver re foaming alone did not fix it. This was a replacement foam surround. I'm so glad I could repair my original speaker in my subwoofer. It was very easy to do myself and my sub works like new again. Thanks! A: Yes! This kit fits the Acoustic Research 18s. Q: Will these work with my AR6 speakers or would you recommend a different kit? A: Yes, this kit fits the AR6. thanks! 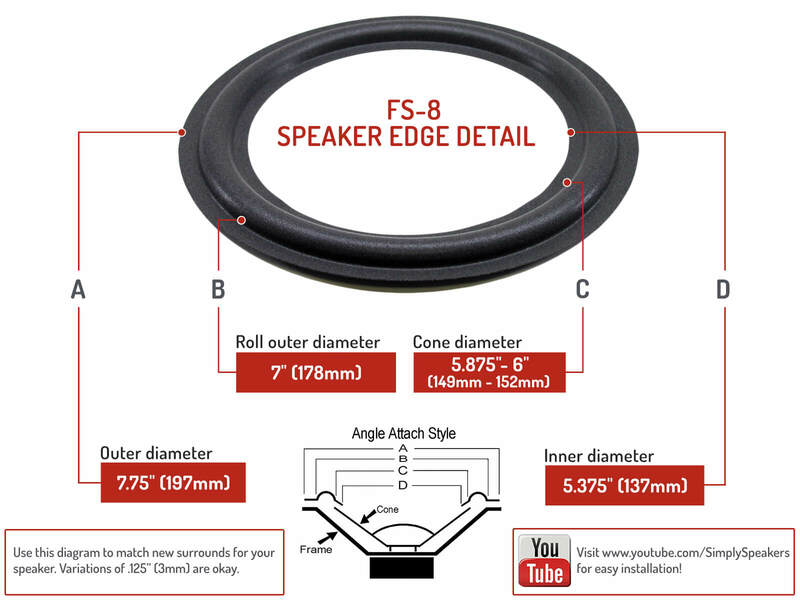 Q: Please confirm that the 8" Acoustic Research Speaker Foam Repair New-Edge-It ® Kit, Part # FSK-8 is suitable for Acoustic Research model 18BXi. The foam appears to be attached to the underside of the cone; do you have a video that show this process? (The Cerwin Vega video shows a topside foam attachment.) Thanks. A: Yes, this is the correct kit for the AR 18Bxi. 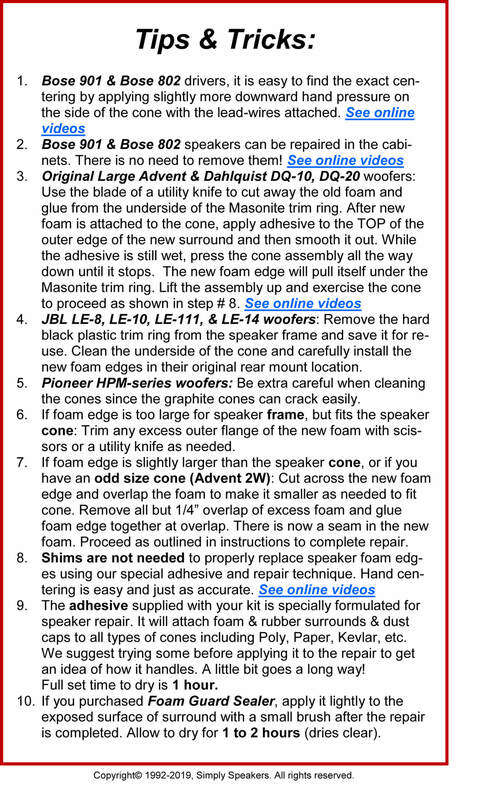 We have a foam kit installation rear mount video listed under the JBL title 128H on our video page. Thanks! Q: will this kit work for TSW 210? 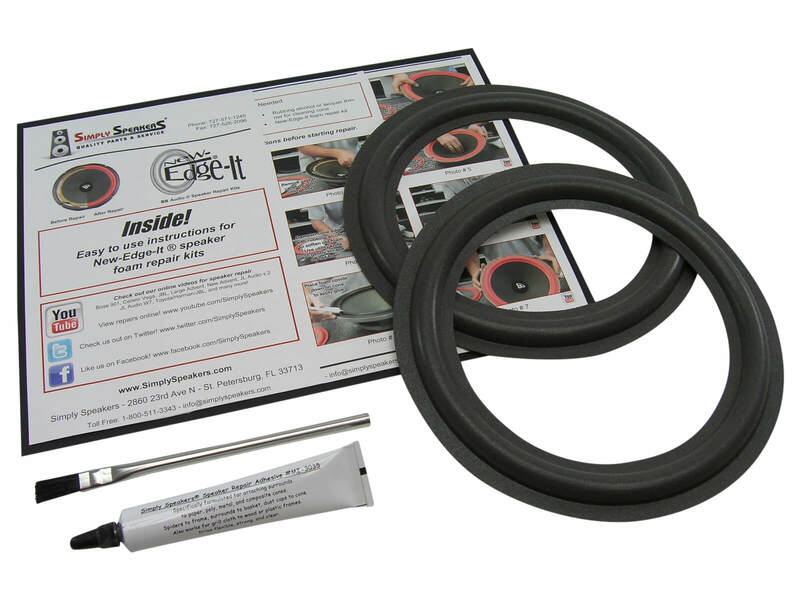 A: Yes, this is the correct foam repair kit for the AR TSW-210. Q: I have a pair of AR-28 speakers I purchased over 20 years ago, that I have just loved. Is this the appropriate repair kit for these speakers? A: Thanks. Yes. This kit fits all AR 28 models with a 6" cone and 8.25" frame. Some really rare versions (28b) use our AR-FSK-10A kit. These units have a 10" woofer frame. Q: Will these work for my AR 94Si? Thanks. A: Yes, this is the correct kit for your Acoustic Research 94Si model. 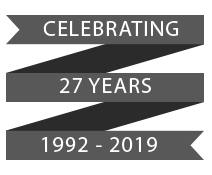 Q: What is the correct speaker foam edge repair kit for a pair of AR 28BX speakers. I believe they are 8" speakers? A: Your model uses 10" woofers. Please order kit # AR-FSK-10A. Q: I want to repair a pair of AR25 speakers that have 8" woofers. 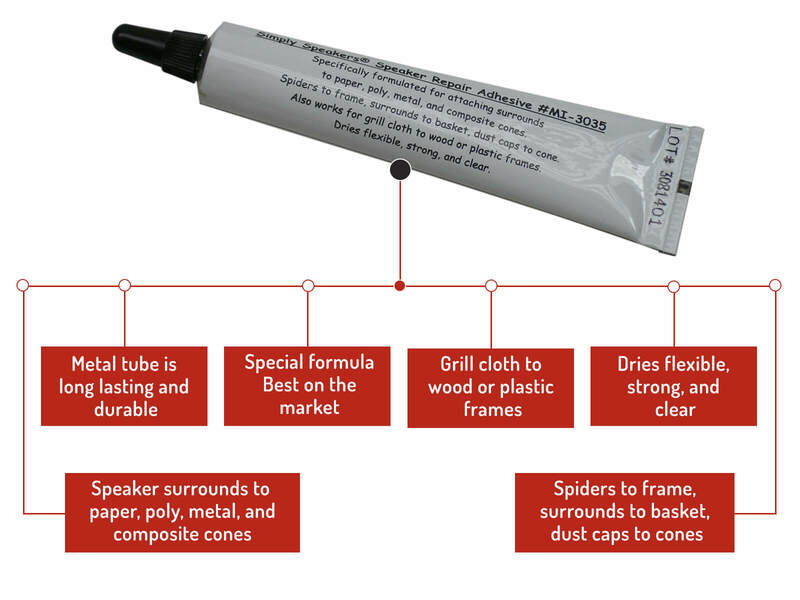 I'm curious about the difference between your edge repair kit and other kits that I have investigated. Some repair kits have you cut out the dust cap and use shims in the voice coil gap to keep the cone centered while gluing on the new surround. Yours doesn't do that. It certainly would make for a simpler repair. 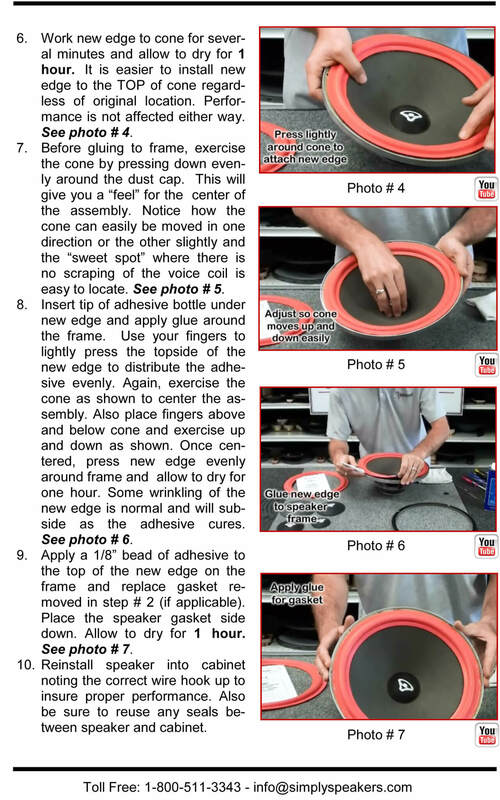 But I'm concerned: without shims in the voice coil gap, how does one keep the cone centered while gluing on the new surround? Q: Will these fit the AR93Q series? A: Thanks! Yes, this kit fits the AR 93Q series. Q: Does this work on the Lexus GX470 2005? Acoustic Research (AR): 4, 6, 7, 8, 8E, AR9 (midrange), 10, 15, 16, 17, AR-18, AR18, AR18B, 20, 25, 35, 90, 93, 94, 94X, 98, 162 (Spirit), 338, 400, 410, 200001-1, 200036, 200037-0, 200050-0, 1210037-2A, 12100371, 1210067, 1210067, 1210072, 1210072, 1210097, 1210097-0B, 15G, 18, 18BXI, 22BX, 25BXI, 28S, 28LS, 35BX, 35T, 38B, 38LS, 38BXI, 4A, 4AX, 4X, 93Q, 94R, 94S, 94SX, 98LS, 9LS, 9LSI, Connoisseur 20, M6, MST-1, Powered Partner 850, Red Box II, Rock Partner, Studio Partner, Spirit 162, TSW-210, TSW210, TSW-410, TSW410, TSW-710, TSW710, TSW-910, TSW910, and many more!